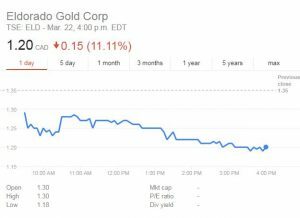 Shares in Eldorado Gold (TSX:ELD)(NYSE:EGO) were down on Thursday after the company reported a Q4 loss and technical studies for its Kişladağ, Lamaque and Skouries mines. In a press release, the Vancouver-based miner stated that, due to a 20 per cent y-o-y fall in sales volumes, its adjusted Q4 loss came in at $400,000 compared to $2.9 million in earnings in the year-ago quarter. In detail, sales moved down to 67.3K from 84.6K ounces. In terms of production, Eldorado revealed that the last quarter of 2017 totaled 83.9K oz., up slightly from 82.8K in the same period of 2016. Full year gold production was of 292,971 ounces, including Olympias pre-commercial production and 7,061 ounces of gold produced from a bulk sample at the company’s newly acquired Lamaque project in Quebec. In a conference call held today, CEO George Burns recognized that 2017 was a challenging year. “Looking back, despite acquiring Lamaque project from Integra Gold in July, technical challenges at play today seem to overshadow Eldorado's value proposition. Compounding this, permitting and arbitration headwinds in Greece were front and center for a good portion of the year. This was extremely frustrating for us and highly disappointing for our shareholders,” he said. In Greece, despite the fact that the Olympias Phase II project achieved commercial production by the end of last year, Eldorado had to deal with a legal arbitration started in September by the Greek Ministry of Finance and the Ministry of the Environment and Energy. Both government departments allege that the technical study for the Madem Lakkos Metallurgical Plant for treating concentrates from the Olympias and Skouries mines was deficient and therefore in violation of the Transfer Contract and the environmental terms of the project. “The operational challenges that we often [face] require innovative solutions, patience and a whole lot of tenacity to work through,” the executive said. 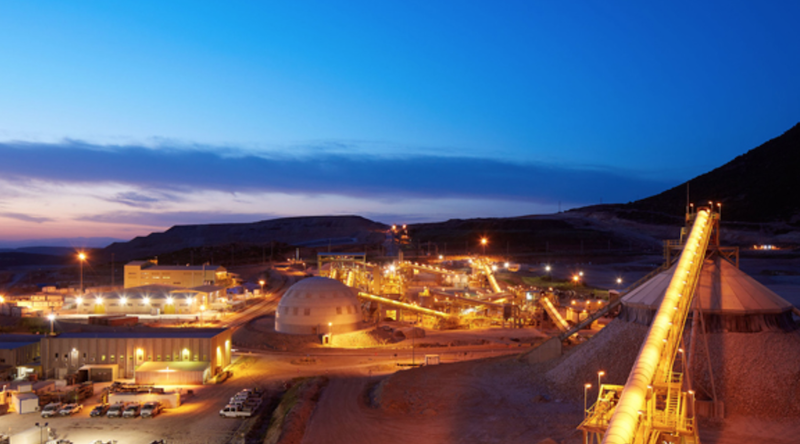 Among those out-of-the-box proposals, the company has been converting its flagship gold mine in Turkey, Kişladağ, from a heap-leach asset to a mill-processing option, with resulting higher processing costs and higher recoveries. But while this is taking place, the miner saw a 10 per cent overall reduction in reserve oz. Thus, 2017 ended with proven and probable gold reserves of 392M metric tons at 1.37 grams/ton gold containing 17.3M oz. Despite these results, George Burns said that by constructing a mill at Kişladağ and moving the Lamaque project into operation, he expects to restore Eldorado Gold’s production to over 600,000 ounces per year. “And this is before factoring in any production from the Skouries project in Greece,” he added.